Security deposits are set under each Vehicle. This is a scheduled charge to the customers card, not a hold or authorization. Wheelbase allows this amount to be edited on a reservation level if needed. 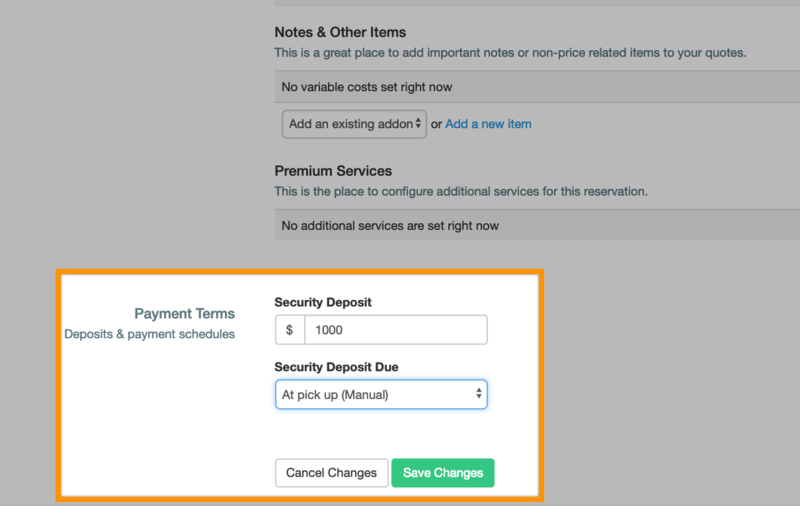 To update when the security deposit is scheduled to charge automatically, visit Reservation Preferences. Note that security deposits can only be charged in full, once per reservation. Make sure the amount and customer's card are correct before the scheduled charge date. How Much Should I Set Security Deposit For?